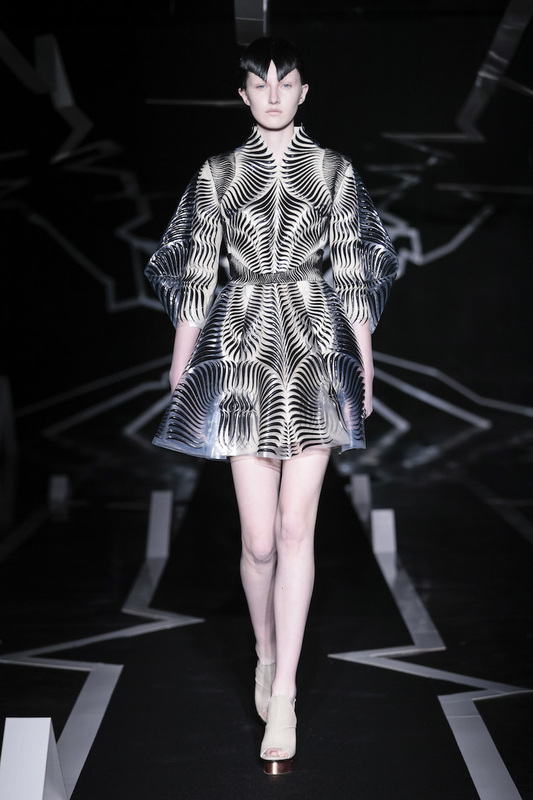 An all black room covered in zigzag white lines awaited us at Iris van Herpen couture show today. A show that was about so much more than just presenting a new collection. The New York Times already titled it a ‘meditation on distortion, visual and psychological’. Iris herself named it “the imperfections of systems and structures in both the physical and digital worlds”. What we witnessed was an impressive line-up of true pieces of art. 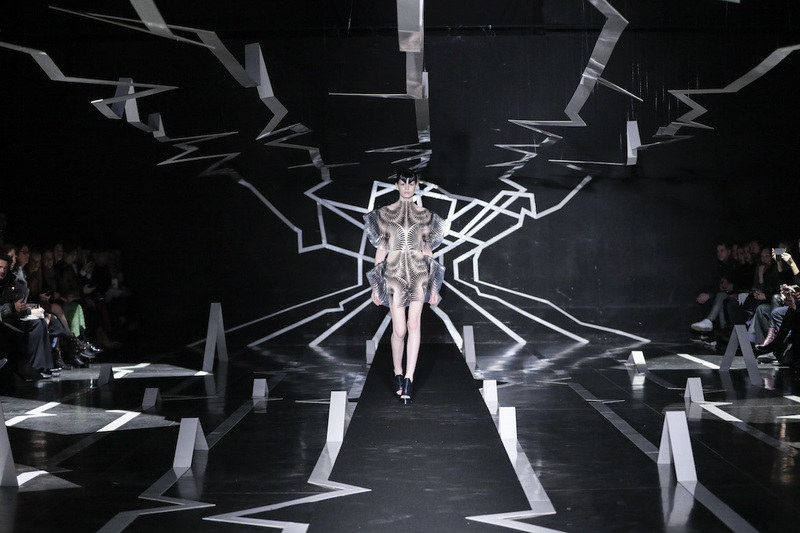 Using the newest of techniques, laser cutting and 3-D handcasting, Iris came up with the most delicate geometric ‘dresses’ that through optical illusion seemed to pulse to the rhythm of the music. 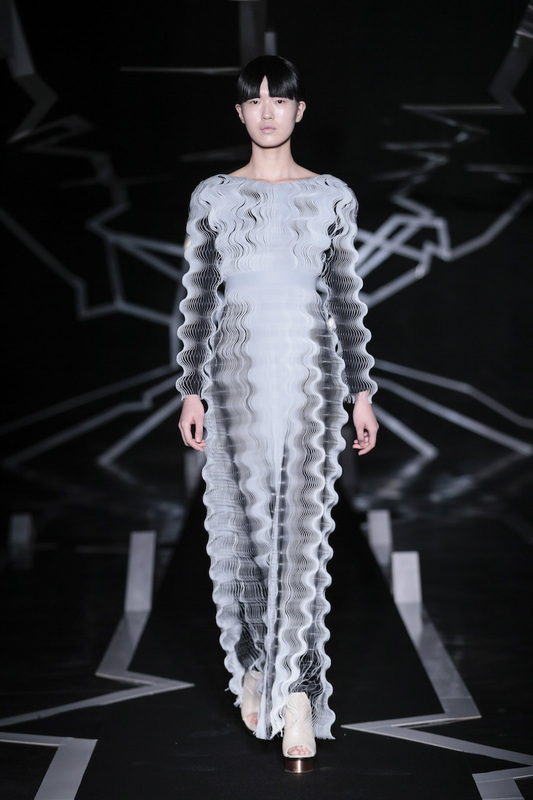 Dresses perhaps with a simple fit, but extraordinary in their execution. Full of nature inspired patterns and textures with some stunning, mind blowing silhouettes. Designed to make a statement, explore the possibilities of fashion technology and leave room for multiple interpretations. 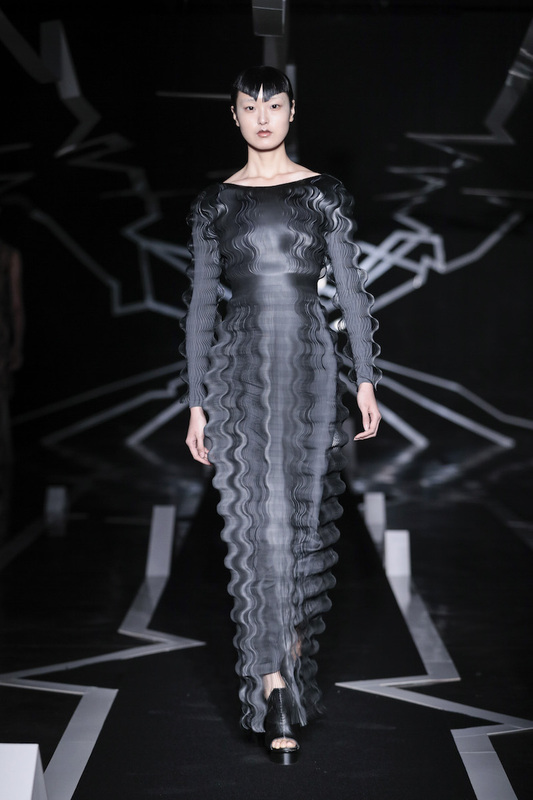 Tempting haute couture customers to actually buy and wear one of these dresses is the least of Iris van Herpens worries. She designs for the love of art and her creations end up in museums more often than they do at red carpets. 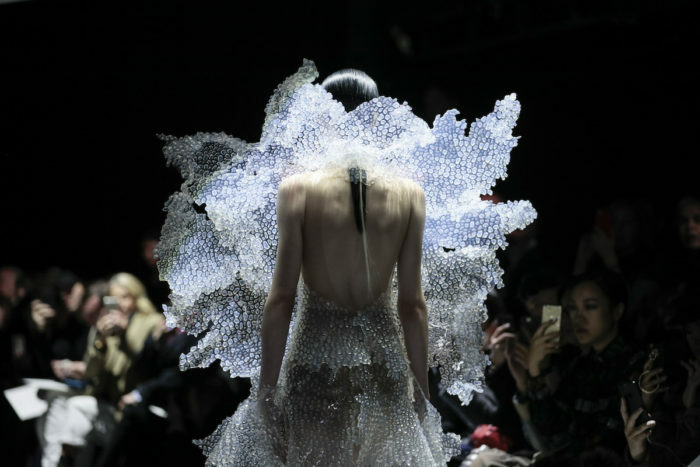 A place where the final piece, a transparent water drop / crystal splash dress, definitely deserves a focus spot. A design a museum visitor could stare at for hours, while it changes with the rays of light. 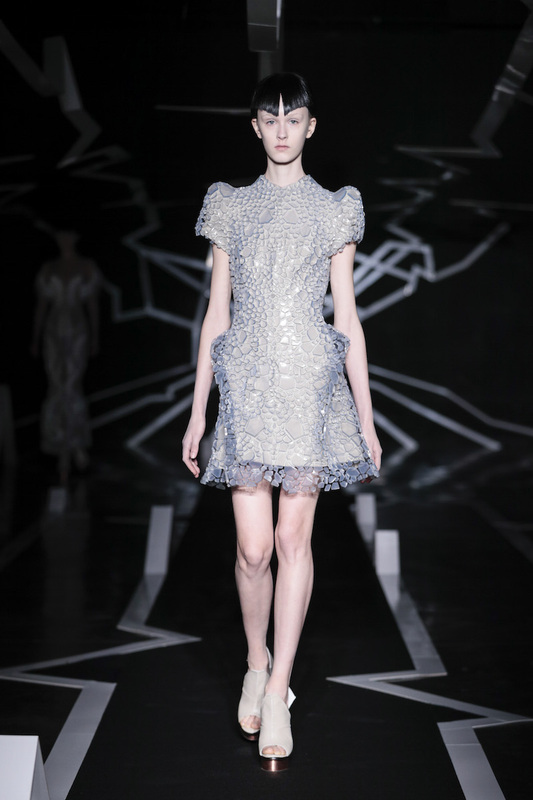 A modern technology driven design Iris managed to turn into a dress that actually spoke about delicacy, elegancy and sensuality. “Oh my god. 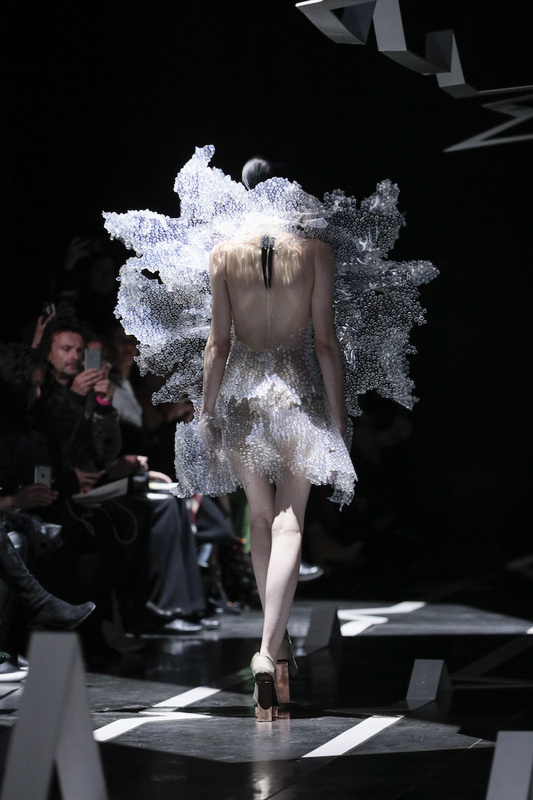 These Iris Van Herpen pieces just changed the game”, said an attendee on Twitter. And Iris may have done just that.